In 1958 his Mosinee football team won the Lumberjack Conference Championship. Ted and his partner Bob Luchsinger for 23 years officiated nearly 1,000 basketball games throughout Southern Wisconsin, including four appearances in the WIAA State Tournament. At Mosinee Bob was the Athletic Director for over 25 years. He coached football for 22 years. Bob's football record is 182 wins and 29 losses at Mosinee. His teams had a 38 game winning streak from 1969-1974. He was Conference Coach of the Year nine times, District Coach of the Year seven times, and in 1983 he was State Coach of the Year. His teams won 15 conference championships with eight undefeated seasons. 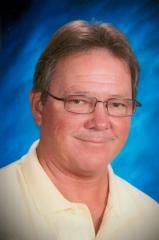 During his 22 year tenure, Bob coached twelve all state football players. He was selected head coach of the North for the first North-South Shrine All Star Game in 1976. 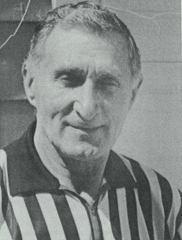 Bob was head track coach for twelve years. He had a record of 149 wins and 12 losses with ten conference championships, ten regional titles and ten sectional titles. In eight years as golf coach, Bob compiled a 428-91 record with six conference championships, two regional titles and two all state golfers. 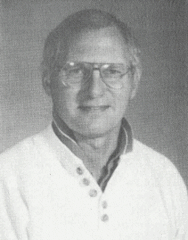 John’s coaching and teaching career started and ended after 36 years, all at Mosinee. John took on an assistant football position under Bob Coy. In both 1980 and 1981 Mosinee won back-to-back State D-4 football titles. He stayed with the football program and transitioned with present coach Paul Nievinski until 2009. During that time, Mosinee football success continued, including advancing to the D3 state semi final in 2002 and the championship game in 2005. In 2002 John was honored as WFCA District V Assistant Coach and then received recognition as the Associations State Assistant Coach of the Year.